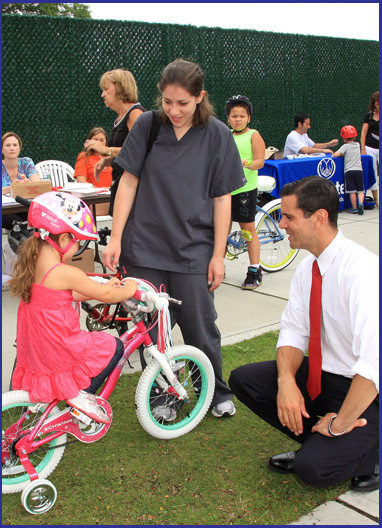 Nassau County Legislator Michael Venditto recently hosted a Bicycle Rodeo in Massapequa to help all residents learn about child and bicycle safety. Kids were joined by a safety trainer on a bike obstacle course during the Bicycle Rodeo and received tips on hand signals and bicycle safety as well as getting their bike brakes and tires checked. “The Bicycle Rodeo is a great way for families to come together for a fun event and learn about the importance of bicycle safety,” said Legislator Venditto.